The winner of this item will receive a gift certificate for a complimentary sitting for up to four (4) subjects PLUS 25 Valentine's Day cards for your kids' school or regular sized for your friends and family from Classic Kids Photography in Burlingame, California. 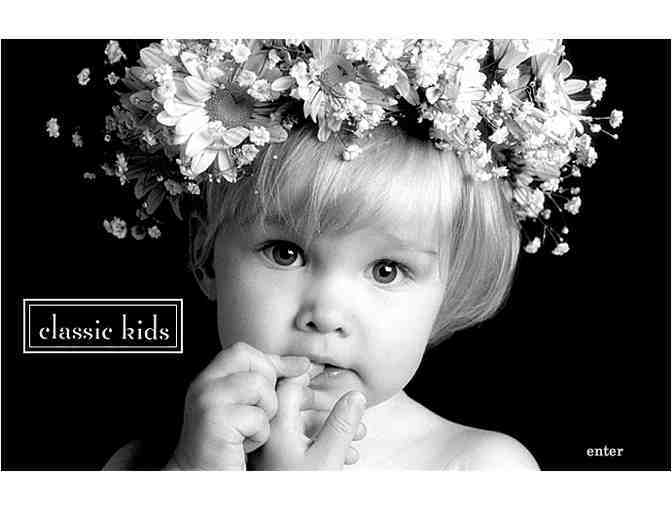 Classic Kids is a consortium of elite child photographers who share a common vision and an uncommon style. They produce fabulous photos and want each photo shoot to be a blast for both kids and parents. Kids and their families are all that they do (although I bet you can convince them to photograph your pet, if you want). This certificate expires one year (12/5/18), but it is recommended to be used for Valentine's Day cards.